Wow, does anyone else feel like 2017 went by way too fast?! We're looking forward to the holiday slow down and spending time with family in the coming weeks (before the crazy post-holiday engagement planning rush hits us!). What we're also excited about is sharing the latest holiday goodies that we've designed! 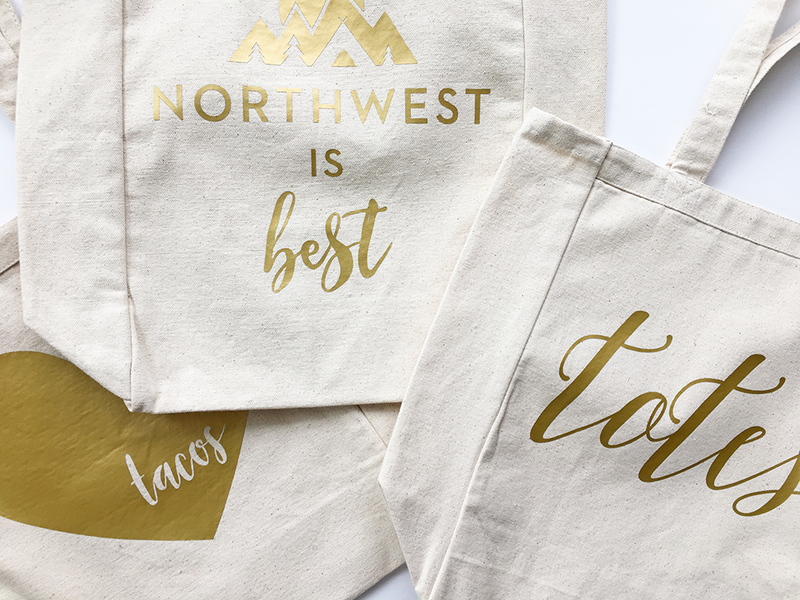 We'll be participating in the MAKERS Made in the PNW Holiday Market on Thursday, December 14th from 6-9 p.m. in downtown Seattle where we'll have all these and more for sale - including hand lettered Christmas tree ornaments we'll be customizing on-site! For those of you who can't make it, you can head over to our etsy shop to pick up your favorite items or shoot us an email at hello@songbirdpaperie.com. Check out a sneak peek of the goodies below and let us know if you have any other holiday requests! 3 new colorful and sparkly banners to add some festiveness to your home all year long and for any events! We're really excited about these ones! Ornaments are always a go-to gift idea - especially a customized one! We'll be offering two different styles, below is a preview of the acrylic ones and we'll be posting photos on Instagram of our second style soon! In addition to our classic prints we have up in our etsy shop, we've designed several new Christmas-themed prints that will look amazing on your mantle! I don't know about you, but I get a lot of joy out of a beautiful wrapped present. Some fun gift tags can help add a little extra pizzazz!